A few days ago, we got the glimpse of a component for Motorola’s new phone, the Moto G4. This seemed to be a fingerprint scanner for the phone itself, but now we have got leaks which seems to show the phone in all its glory. The leaks seem to show a phone could be what Motorola release in the coming weeks but we are unaware now as to what the phone may pack inside. We can see that the alleged component from a few days ago has actually been featured on the phone and does seem to possibly be a fingerprint scanner. On the back of the device, we can see a camera and underneath this, there it the usual Motorola logo. It is hard to distinguish what material has been used on the back, but it could be possible that we can customize the phone to our liking and choose what material is on the back. This is to be expected as that is what Motorola have been doing with most its phones. On the front of the device, there is the screen which could be of any quality, and an fingerprint scanner. The fingerprint scanner is new to Motorola as they have not used it on a device before. We can see this phone in action as there seems to be a person using it. We cannot determine the quality of the screen as the image is not of best quality, but we can expect something big. 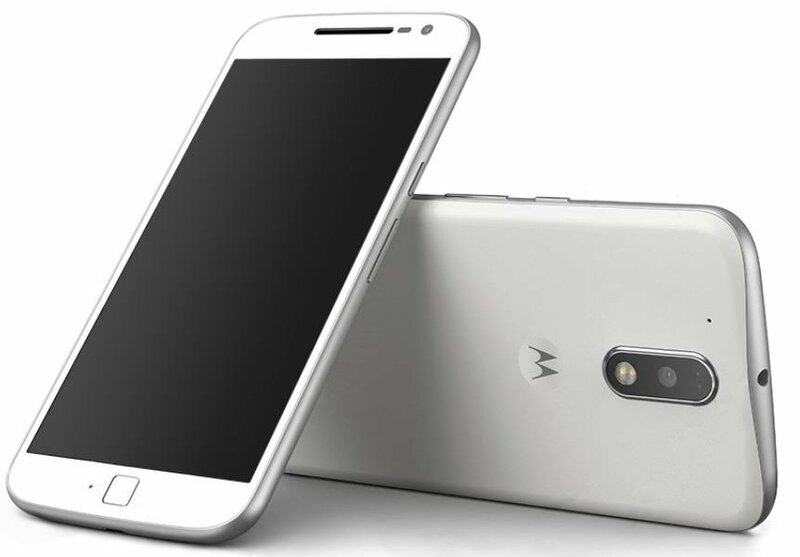 [Updated] There has been a new leak that outs the Moto G4 in a more professional looking render that shows the front and back of the device. This render comes to us thanks to Evan Blass (otherwise known as evleaks). It has been alleged that there may be two different models of the new phone, the Moto G4 and G4 Plus. We do not know what the differences between the models are and even which model has been leaked in the images. Until Motorola announces the phone(s) or we receive further information, we do not know anything about the phone and hardware in it.